flaps on vPC interconnecting the NEXUS 5000 to NEXUS 7000. If user absolutely wants to use the same domain-id on both vPC domains, then knob system-mac(under vPC domain configuration context) must be used to force different vPC system-mac values. 4. If the downstream access switch is a not a Cisco Nexus device, disable the LACP graceful-convergence option. 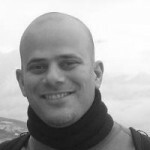 • PIM SM (Sparse Mode) is fully interoperable with vPC. The software does not support PIM BiDIR or PIM SSM (Source Specific Multicast) with vPC. • The software does not support DAI (Dynamic ARP Inspection) or IPSG (IP Source Guard) in a vPC environment. • DHCP relay and DHCP snooping are supported with vPC. • The software does not support Cisco Fabric Services regions with vPC. • Port security is not supported on vPC member ports. 6. Any vPC VLAN allowed on vPC member port MUST be allowed on vPC peer-link. 9. Configure a separate Layer 3 link for routing from the vPC peer device (backup routing path), rather than using vPC peer-link and SVI for this purpose. • Let Bridge Assurance running on vPC peer-link (default mode) and do not disable it. • Do not enable Bridge Assurance on vPC member ports. 11. Create an additional Layer 2 trunk port-channel to transport non-vPC VLAN traffic(if doing so, make sure that the VLANs are not in the same MST group). 13. When using vPC, it is a best practice to use default timers for HSRP, VRRP and PIM configurations. • Do not configure vPC peer-keepalive link on top of vPC peer-link!! • Use at least 2 different line cards to increase high availability of peer-link. • Use dedicated 10-Gigabit Ethernet ports with M132 10G line card. Do not use shared mode ports. • ports on M132XP can used for vPC peer-link only if the port is configured in dedicated mode. • For vPC peer device with a only one M1 line card use vPC object tracking feature. • If you configure a VLAN for OSPF over the vPC, you must exclude that vlan from peer-gateway, use the command – peer-gateway exclude-vlan . • Always enable vPC ARP Sync on both vPC peer devices. • Always enable vPC delay restore (on both vPC peer devices) and the tune the timer accordingly based on network profile. • Always enable vPC graceful type-1 check on both vPC peer devices. • Always enable vPC auto-recovery reload-delay on both vPC peer devices. 23. 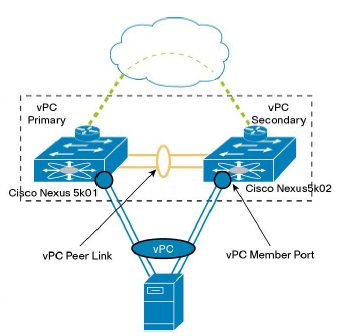 When connecting a Cisco Nexus device to a Cisco Catalyst device, be cautious with the VLAN used for that purpose in order to avoid any reserved VLANs from the NX-OS range or IOS range. a supported design because of vPC loop avoidance rule. vPC performs loop avoidance at data-plane layer instead of control plane layer for Spanning Tree Protocol. All logics are implemented directly in hardware on vPC peer-link ports, avoiding any dependancy to CPU utilization. allowed to egress any vPC member port; however it can egress any other type of port (L3 port, orphan port, …). vPC role defines which of the two vPC peer devices processes Bridge Protocol Data Units (BPDUs) and responds to Address Resolution Protocol (ARP). When vPC peer-link is down, The secondary peer device shut down vPC member ports. 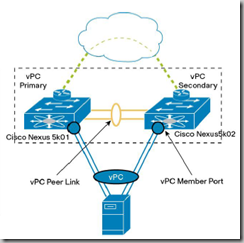 Cisco Fabric Services is enabled by default when vPC feature is turned on. ● Carry vPC and non-vPC VLANs. ● Carry Cisco Fabric Services messages that are tagged with CoS=4 for reliable communication. ● Carry flooded traffic from the other vPC peer device. ● Carry STP BPDUs, HSRP hello messages, and IGMP updates. ports (including the 2232 model which has 10G front panel ports). a knob is available to exclude specific VLANs from the peer-gateway. implementation with STP based network. Thanks Sharon …. looks like a useful stuff, will ponder through it & comment on it in case I have any questions.